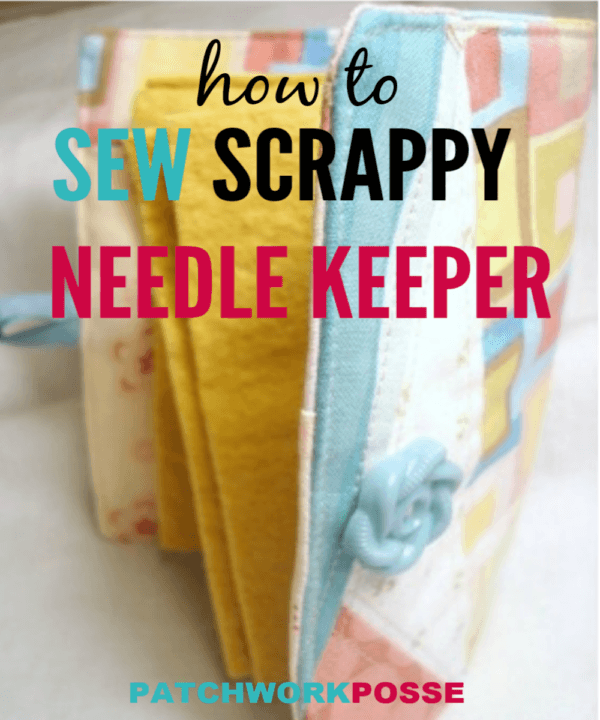 Sew up a needle keeper using scraps and bits. 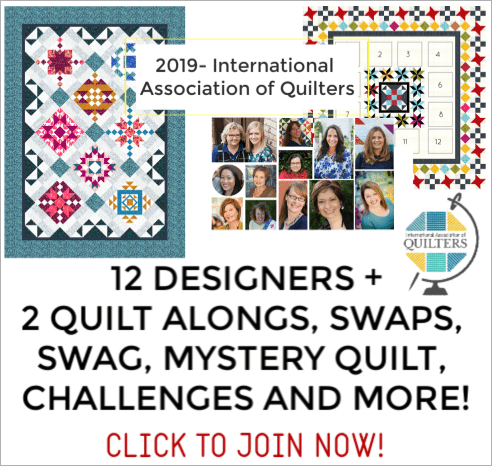 Techniques– quilt as you go or foundation piecing. Super easy and great for beginners! If you have a lot of scraps hanging around… this is for you! 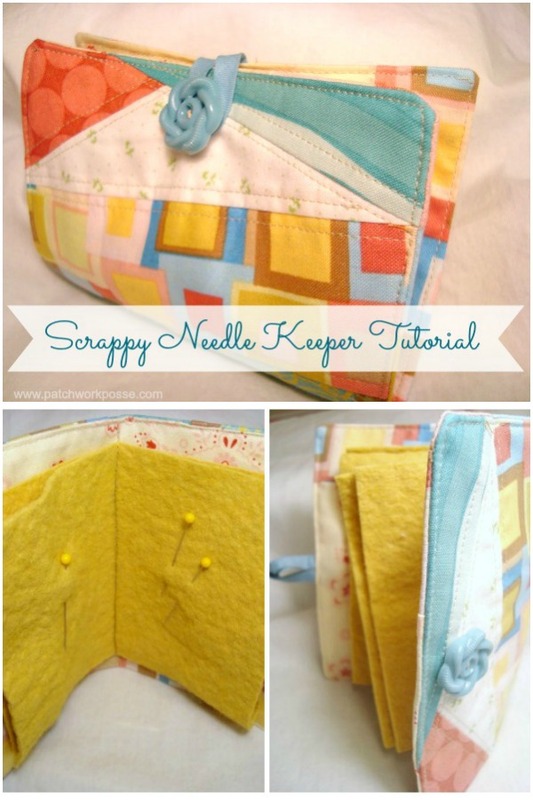 Gather up your bits and pieces to sew up this super easy scrappy needle keeper. It doesn’t matter the size of your fabric scraps either. We are going to be sewing them to a foundation- similar to mile a minute and so all sizes of scraps will work. For this needle keeper you need a base or foundation fabric. Mine is a piece of white sheet. Use muslin or whatever scrap you’ve got hanging around. You need something light and no or little pattern. Go through your sewing trash. Mine is a box that somehow fills up quickly…does yours? don’t mind the wrappers and other goods….just the fabric scraps. that is all we need. Grab yourself a handful and sort them just a bit. 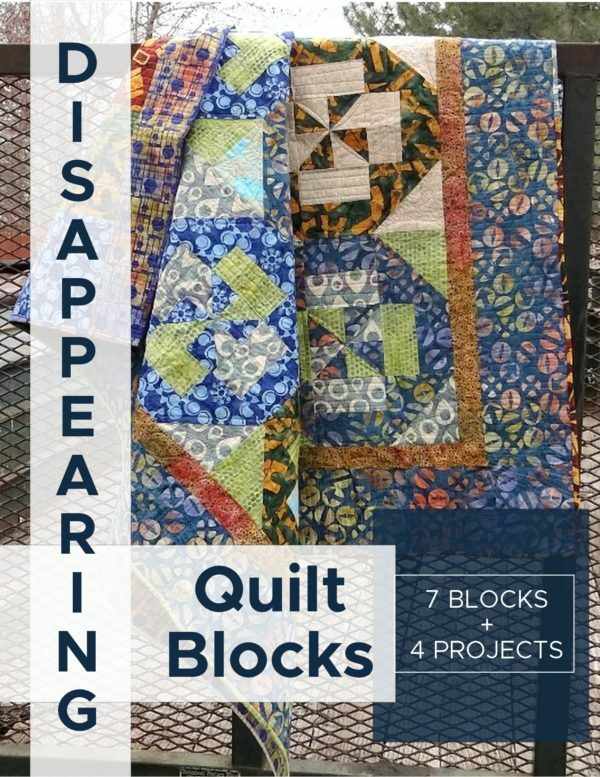 If you’ve been recently sewing up a project, then this is a perfect project for using those leftovers! Grab one of the scraps and lay it in the center—Right Sides UP!! 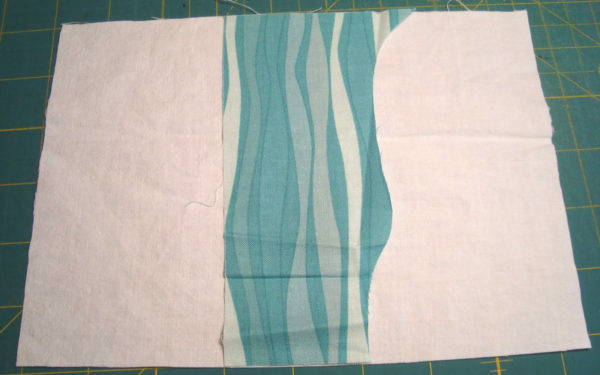 Place another scrap across the first one- right sides together and stitch 1/4″ along the cut edge. Flip back and iron. Notice how mine is short just a bit on the bottom. No biggie. See that little left out spot? It is going to get some covering. Lay the next piece right sides together and sew along that edge. This next piece I am going to take the full width, making sure it is moved far enough on the fabrics that it covers and doesn’t leave anything left out. Cover up that salvage notes, unless you are using that as your design. man- why didn’t i think of that? See? After you sew it- and turn it- and iron it- It looks great! On to the next piece. Continue laying them down and working out the edge of the one side. Don’t worry about those extra long pieces hanging off the edge. They will all get trimmed later. Now that you have one side finished, go to the other side and continue with the same process. If you run into a piece that has no nice straight sides- cut it! 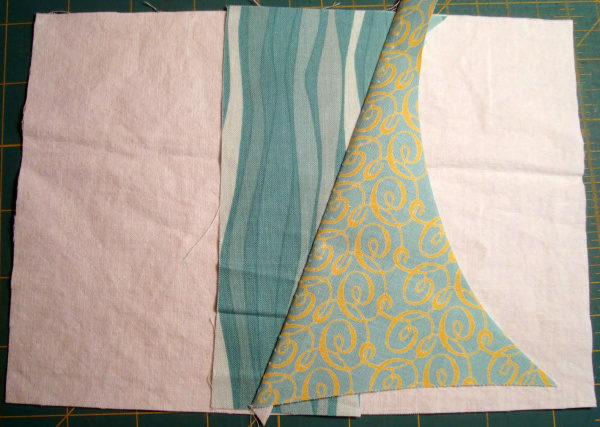 You will end up with this real wonky, crazy, pieced thing that has unruly sides! isn’t it lovely? Turn this with all the right sides down. Now that you can see the correct shape– trim it. Run it through the sewing machine. Stitch along both side of the seam. I used my foot as the guide and tried to be consistent. 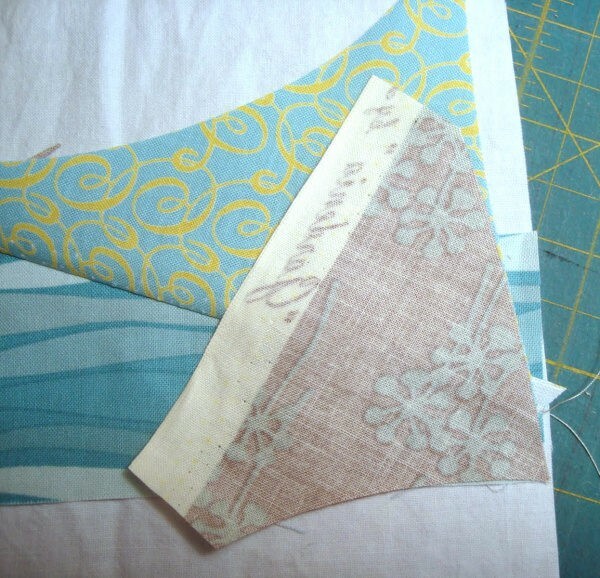 You can also use your walking foot to help feed the fabric thickness through. The piece wasn’t that big or thick that it needed it, but just in case you run into an issue- the walking foot is great to use. In the center of the rectangle edge you need to pin the button loop. I am using a 1/4″ wide X 3″ long bias tape- pre made. A length of ribbon would work as well. Lay the inside right sides together with the outside finished cute piece. Stitch all the way around the outside edge. 1/4″ seam. Leave a 2″ opening for turning of course. Trim the corners, and then turn it right sides out. Push those corners out nice like and iron that baby flat! Because of the inside foundation piece you are sewing to, there isn’t any need for batting. It keeps it’s shape real nice like. Coax that turning hole inside nice and then iron that flat. Sew all the way around the outside edge 1/8″. Go slow it is a bit thick–but this will secure that button loop and close that turning hole. Fold in half and iron. This will make a marking crease for lining up the inside felt. Center the pages and Pin in place. Sew a straight line from the top to the bottom. If you need to make a pencil line to follow- do it. See mine? Now all you need is a cute button!!!! Fold the needle keeper in half and pull that button loop over. Take a pencil and mark right where it is. Hand stitch your button on–only catching the top layers. You don’t want those threads to show on the back…or if you do–machine stitch that baby down! WANT TO REMEMBER THIS? 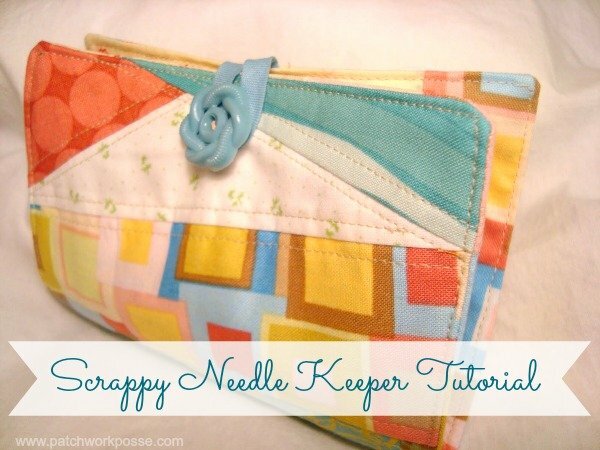 SAVE THE NEEDLE KEEPER TUTORIAL USING YOUR SCRAPS TO YOUR FAVORITE DIY PINTEREST BOARD! This is cut Becky. I need to make me one! These are so cute! 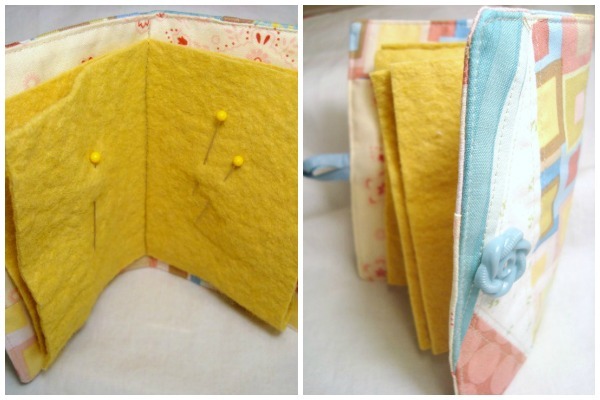 I have seen some needle books made out of felt, which I also like, but I think this is a bit more classy! Thanks for a fun idea! very inspiring project! thanks for the great instructions and photos. i've been wanting to make a needle book. I like your tutorial so much I linked to it on my blog. I'll be keeping my sewing trash now! Looks cute, instructions and photos very thorough and easy to follow. 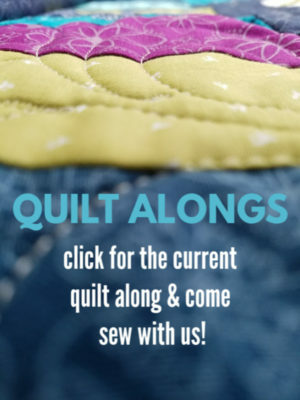 would like to make one for myself – which I really need – and one each for my Sewing Pals group. At Christmas we make a gift for our Sew Pals group (same gift for each of us 4 gals and one for ourselves, so we make 5 of the same item) as our exchange. This would be a cute and practical gift for everyone, plus fun to make! Thanks again for the idea and excellent instructions. Can’t start too early for Christmas ideas. its cute! !your method has made it looking so easy that I am tempted to try it today!! frankly I am planning to make three for gift also as I know anyone who gets it will b happy to get it. you have done a very neat job .thanx 4 sharing !! This is so cute! My 9 year old daughter is loves to sew and this is a perfect thing to have her keep her pins and needles in. We also sew a lot of doll clothes and are going to adapt this idea for a doll sized patchwork bubble skirt. I shared this link on our FB page with the bubble skirt idea. Your needle keeper looks like a good idea to make with left over scraps that I have no use for. Do not know how long it takes to put together and sew, but I will find out when I sit down to sew one. very practical and nice idea to keep sewing needles handy and secure without getting ruined out in the open. Thank you. 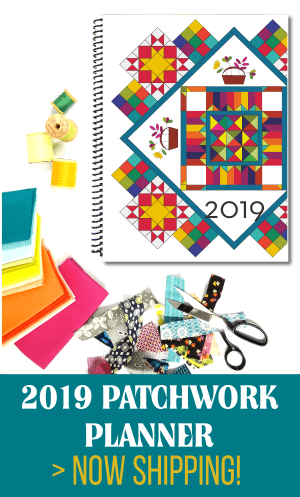 Thanks for making patchwork so simple! I have always wanted to make a patchwork but have never like the planned looking ones. This will be great! Love the needle patchwork tote. I would make it bigger and use it to carry/store my knitting needles. Thanks for a great project. it is very cute, but i dont have any use for it! I love to sew but I already have made so many things I tackle anything new. I just made one of these last month or so! I love it though! I love this idea! I do cross-stitch too, and I have some aida cloth rectangles in my scrap bin I could use to make the pages… hmm, and my leftover scraps of bias tape would go great around the edges of the aida… yup! I’ll definietly make one and bust some scraps! I used the idea to make a 9″x14″ craft pouch to carry my knitting in my messenger bag. I struggled a bit with how to get smaller scraps in on the gig. I ended up creating larger pieces by combining smaller pieces separately then stitching them on to the base fabric. I lined with thin batting, but I am going to use sew-in interfacing next time. I am ready to go again!!!! what a great idea and technique! thanks for sharing with us the process. might have to give that a try myself. I think its great & the idea can b used for clutch purse, swatch book & more I love it. There should be an overlap of about an inch. Next, using a wool needle, sew up the factors with the long tail you left. Make sure to stitch through all three levels where they overlap. the little pocket idea is a great one! thanks for sharing that. This is my favorite needle keeper I’ve seen yet! Very pretty! I will make it today!